Certainly those and other financial reports are important, and knowing all about your finances is important. But, those of us in the business of helping law firms become more efficient focus on how it is that you are able to bill any hours (or set fees) by focusing on where your business comes from and how it is most efficiently handled in your firm. You need to know what marketing sources produce the most leads for new prospects. That sounds so obvious, yet most lawyers don’t even track the data needed to get started. Even if you do track where your leads come from, just because a marketing source provides a lot of leads doesn’t mean it is a good source. Once you know where your prospects come from, you need to look at how many of those prospects actually set initial appointments, and then become clients. 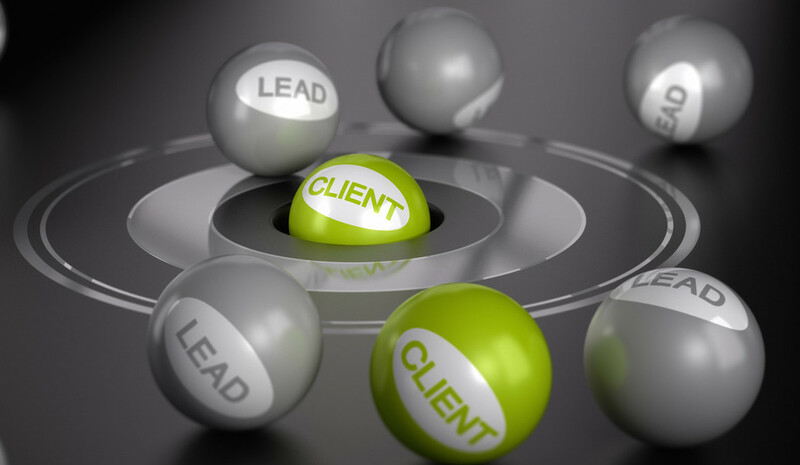 With good reporting it is easy to see, as an example, that a particular marketing source might generate a large number of prospects, and maybe even a lot of appointments, but no new clients. That is a bad marketing source even if there was initial excitement due to the number of contacts received, or even if it is inexpensive. In fact, that type of marketing source is even worse than ones that produce no prospects because you have to do a lot of work to answer calls, set the appointment, and then meet with the client … all for no new clients. Reporting/metrics should enable you to evaluate the performance of your systems and staff. Knowing how many prospects become clients is great, but for those prospects that don’t retain the firm can you tell where you are coming up short? Maybe you are picky, and that’s ok. But, are you tracking metrics that will tell you how many of your prospects set appointments, and then how many of those show up or don’t show up? For those that show up, do you track how many retain your firm? These types of metrics and reports let you review your processes and personnel to see if the problem is the nature of the prospect, the way your set appointments, the way your confirm appointments, and/or the way you and your staff interact with the clients in the initial conference. Without this information, how could you possibly know the strengths and weaknesses of your “prospect conversion” process? If you have multiple staff handling this part of your practice, how can you tell who your best producers are? Looking at billable hours, receipts, or other financial information only provides a partial picture. You need to be able to dig deeper into what is happening and why in order to truly know how well your firm is operating. To show how deep this analysis can go, let’s assume you track all the information above. Can you then analyze your marketing sources based on their costs? A particular marketing source might have a great conversion rate, but might be very, very expensive. This could make it so that the acquisition cost per client is so high it isn’t worth investing in that type of marketing and forgoing those clients. Or, one of your best marketing sources for producing actual clients might be very inexpensive. Do you track the information that can tell you that? As an example, from years of experience I can state without any fear of contradiction that lawyer and client referrals have the highest conversion rates. Yet, there is very little actual expense for those referrals although you will spend plenty of time (which I recognize is money) making sure lawyers and your clients will refer others to you. To conclude with a real-life example, we had a law firm client of ours that was spending around $10,000 per month for 3rd party Internet leads. This firm was doing extremely well, even in light of dramatically falling bankruptcy filing numbers. I was asked to provide metrics that identified which area codes the firm was getting its prospects/initial appointments/new clients from. If we could tell them what area codes were and were not profitable, they could choose not to accept the leads for those areas. For an investment of about $2500 in reporting and analysis, we were able to identify those area codes from which they obtained few or any new clients over a fairly large, statistically significant time period. The firm was able to reduce their monthly 3rd party lead buy by over $5,000 per month. Think about that … a $60,000 annual savings for an investment of about $2,500, without any significant drop in the number of clients they were retaining. I’m pretty sure that’s math we can all agree on. So, yes, tracking and reporting on your hours, billables, receipts, AR, and other financial information is obviously important. But, it is only part of the picture. Finally, you say, “but Tom, I am not a bankruptcy lawyer, I don’t buy 3rd party leads, I certainly don’t spend that kind of money on advertising, all my prospects hire me, and I can simply tell you my staff is awesome and perfect when it comes to working with prospective clients, etc., etc.” While the discussion above is mostly about consumer bankruptcy firms, the concepts are similar if not identical for almost all law firms. You just need to extrapolate what might work for you in whatever type of law practice you have. My guess is that you would be surprised to see how different your reality is from your perception, but you have to have the data, reports and knowledge of how to analyze them to know that.